On Friday, Rosenblatt Securities downgraded its rating on Apple to „neutral,“ saying it will be difficult for the tech giant to offset weaker volume with higher selling prices in the second half of 2019, according to CNBC. 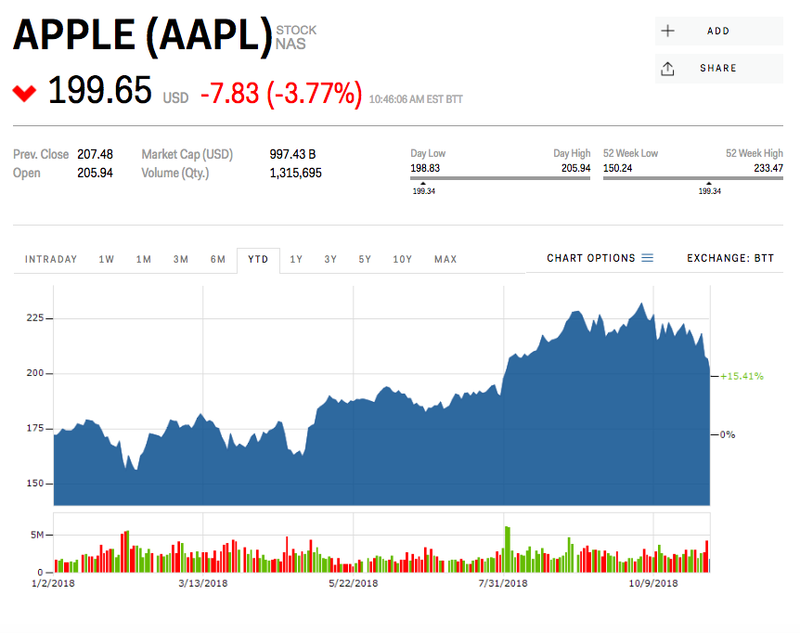 Bank of American Merrill Lynch on Friday also downgraded Apple to „neutral,“ and slashed its price target to $220 from $235. Similarly, RBC Capital Markets cut its price target to $240 from $250, but maintained its „outperform“ rating.